At Nissan South of Union City, we help our customers with everything from purchasing a new or used car to maintaining and servicing that vehicle so that you can get the most out of it. Once you have purchased your new or pre-owned car, it is important to keep doing routine maintenance in order to prolong the life of your car and save yourself money on costly repairs in the long run. Check out our Service Specials for even more savings! Regardless of the age of your vehicle, if you receive routine maintenance like oil changes, air filter replacement, fluids, and battery and brake checks, your vehicle’s performance will be noticeably better. Need Nissan Recall Assistance? No problem! Our top-notch service technicians at Nissan South of Union City are eager to help you from our convenient location at 4080 Jonesboro Road in Union City, Georgia. Why Choose the Service Center at Nissan South of Union City? 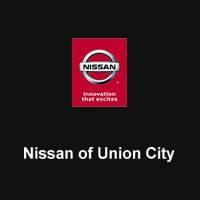 We understand that you have a ton of options in choosing where to bring your Nissan vehicle for maintenance and repairs in the Union City, College Park, and Fairburn area. Picking the right shop to bring your car to for repairs is just as important as actually keeping up with the manufacturer’s maintenance schedule for your vehicle. Our mechanics have been well-trained in using state-of-the-art equipment and OEM Nissan parts that have been made for your vehicle. We keep our customers well-informed throughout the whole process, so that there will be no surprise fees when it is time to pay the bill. We understand that our customers live busy lives, so we have made it easy to schedule service with our Service Department at Nissan South of Union City. You can schedule your next service appointment by giving our dealership a call or by filling out our convenient online scheduling form and picking a time that works best for you. Are you looking for new Parts and Accessories? If you have any questions when it comes to deciding what part is right for you, the give our dealership a call at (770) 964-7162 and we will be happy to assist you. If you are looking for a particular part and we do not have it at our dealership, then fill out a parts request form and we will get that part to you as soon as possible! We are proud to serve the people of the Union City, Fairburn, and College Park area and deliver trusted, quality service that our customers can depend on.